To keep up with your competitors in today’s business world, you need to use the latest technology. But for a small or medium-sized business, it’s difficult, not to mention frustrating and time-consuming, to keep up with constantly changing hardware and software and provide the support needed to use it. Techsonduty is a managed service provider that provides your Melville company an ideal solution: Our managed IT services programs, which give you the support and services you need for all your computers, networks, servers, and more, without the expense of doing it all in-house. We offer a variety of services including Melville Computer Repair, Network Services, Wiring/Cabling | Melville Wifi Repair surrounding areas. Large organizations have an edge in terms of purchasing power due to economies of scale – they obtain discounts on high-volume orders and use this to get more customers by offering reduced prices. Fortunately, small businesses in Melville can now take advantage of advanced IT systems and technology by working with a managed services company as a way to get back on the playing field and compete at new levels. 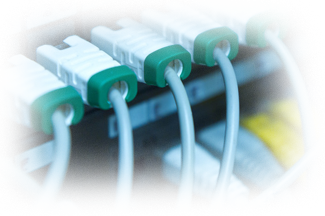 Techsonduty provides Melville Computer Repair, Network Services, Wiring/Cabling | Melville Wifi Repair. Is your computer not working because your hard drive is broken? Getting a blue screen or a message which you have no idea of how to fix. Let us take come and provide the computer solutions you need to get back working. We offer competitive pricing and flat rate services.